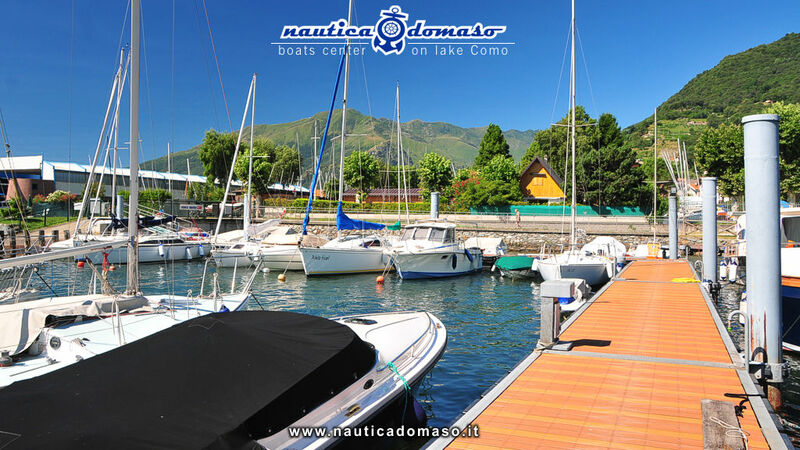 The small port is situated in front of Domaso’s nautical centre, which offers shelter from the summer breezes. The harbour offers places to boats which vary from 5 mt to 9 mt length, all places are provided with drinkable water and electricity. The structure is made out of floating pontoons with moorings and guarantees all the security for your boat. 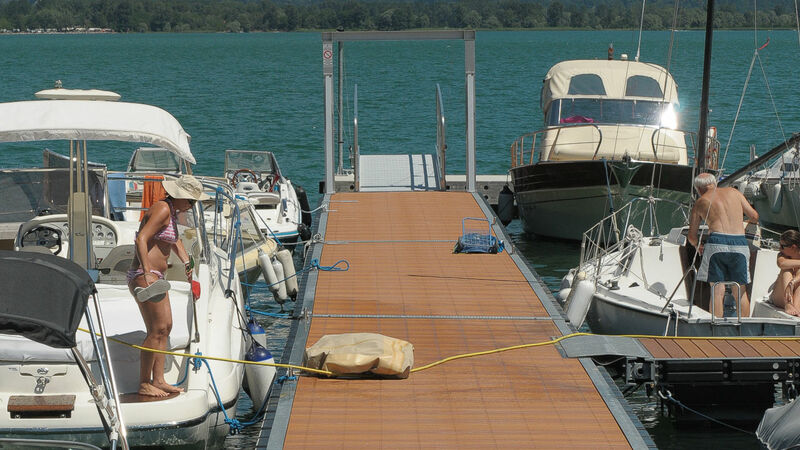 The external pontoons are made of concrete and also function as breakwaters. The touristic harbour is constantly controlled by video surveillance system and only members with a private gate. 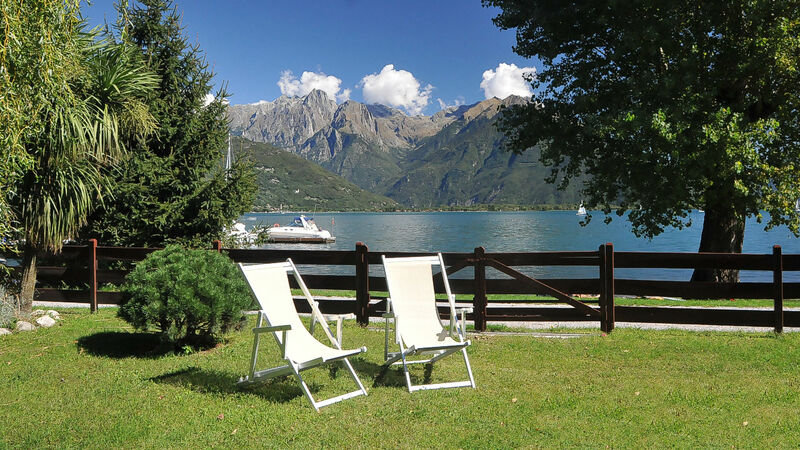 To take care of your boat as best as we can, we are able to offer you places at the summer port in the summer-time, and for the winter we have the possibility of offering you a place in our hangar or in our external parking lot. - Control of the moorings. - Engine maintenance, Service VOLVO and MERCRUISER. 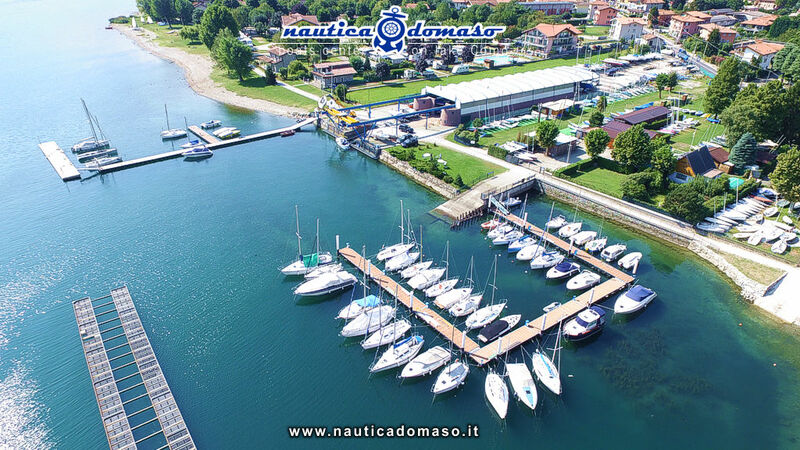 The marina of Sporting Club Domaso can host up to 45 boats from 5.00 m to 10.00 m.